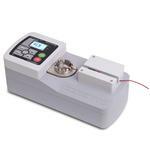 The WT3-201M motorized wire crimp pull tester is designed to measure pull-off forces of up to 200 lbF [1 kN] for wire and tube terminations. The tester conforms to numerous UL, ISO, ASTM, SAE, MIL, and other requirements for destructive testing. The WT3-201M includes MESUR? 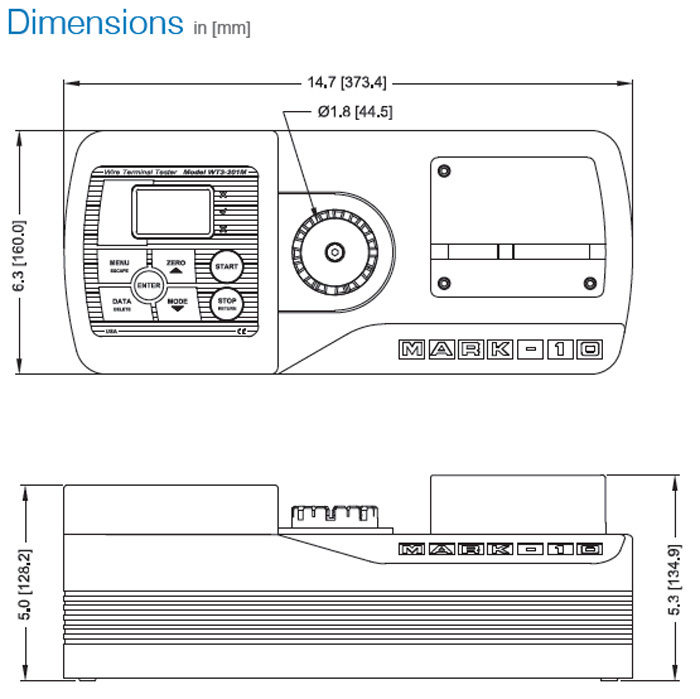 Lite data acquisition software. MESUR? Lite tabulates continuous or single point data. One-click export to Excel allows for further data manipulation. As the test begins, serrated cams engage the sample. 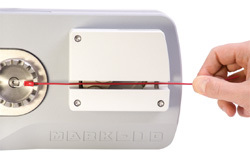 A pinch guard (red tab shown above) automatically rotates into position, for added safety. Power cord, quick-start guide, USB cable, resource CD (USB driver, MESURTM Lite software, MESURTMgauge DEMO software, and users guide), and NIST-traceable certificate of calibration. 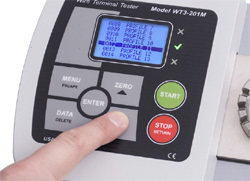 WF011 The tester will stop when the specified load has been reached. 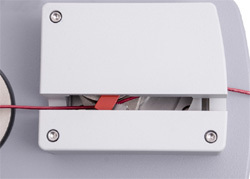 WT3002 Ring terminal fixture Secures ring terminations. Pin diameters from 1/8 to 3/8 in [3.2 to 9.5 mm].